Nestled between the recipes for vermouth fish loaf and guinea fowl madelaine however, there are some tasty dishes – dinner party standards like devils on horseback and duck a l’orange and from this range, I chose the boeuf en daube after a craving for beef stew persisted after eating an excellent boeuf carbonnade (made by someone else). It may not be lovely looking, but it was easily the best stew I’ve ever made. Whether it was the extra veg or the extra marinating time, the sauce was smooth and delicious with tender (somewhat irregular…) pieces of meat and vegetables. Highly recommended (as long as you add an extra leek). I was recently given copy of Jane Grigson’s English Food, as regular readers will know I have a very high opinion of both her recipes and her writing (the interspersing of history and personal anecdotes is much imitated but never matched). 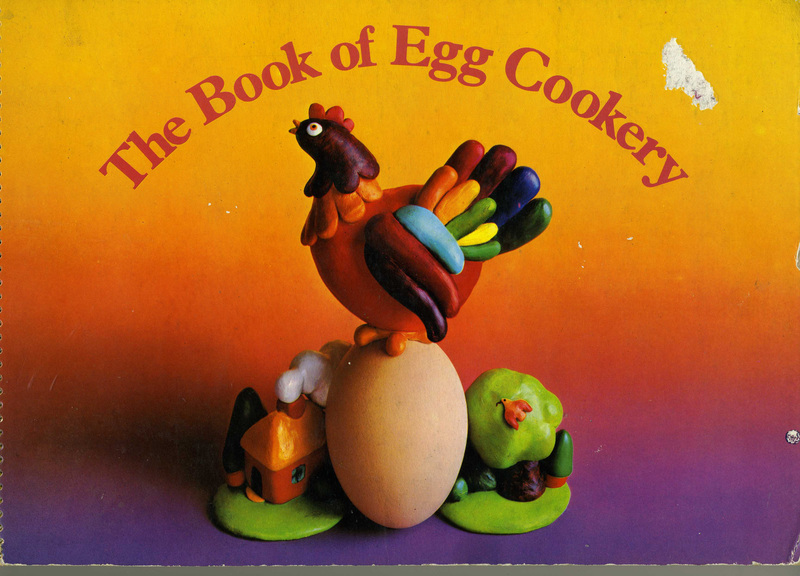 English Food was first published 1974, but I have the 1992 edition, which contains both a new introduction by her daughter Sophie Grigson, as well as a caustic introduction from the 1978 edition, in which she rails against the loss of cooking skills, bland convenience food and patronising food writers. Omelettes were one of the first things I learned to make and of course all my early attempts were horrific. Now I can make them (the way I like them) on autopilot, likwise frittata, tortilla and even occasionally pajeon. Thus aphorises X Marcel Boulestin at the start of the salad chapter in Simple French Cooking for English Homes (of which Quadrille were kind enough to send us a copy). The book is a brisk but thorough canter through French home, as opposed to restaurant cooking, meaning it is full of recipes which are damn French but mostly require about 6 ingredients and are compatible with full-time employment. There are sections on sauces, soups, meat, vegetables and a few puddings (on obtient du pain dans les boulangeries, oui? ), as well as hilariously didactic final chapter on wine. Salads includes details on the best way to mix dressing as well as recipes of of raw and cooked vegetables, fish and beef. 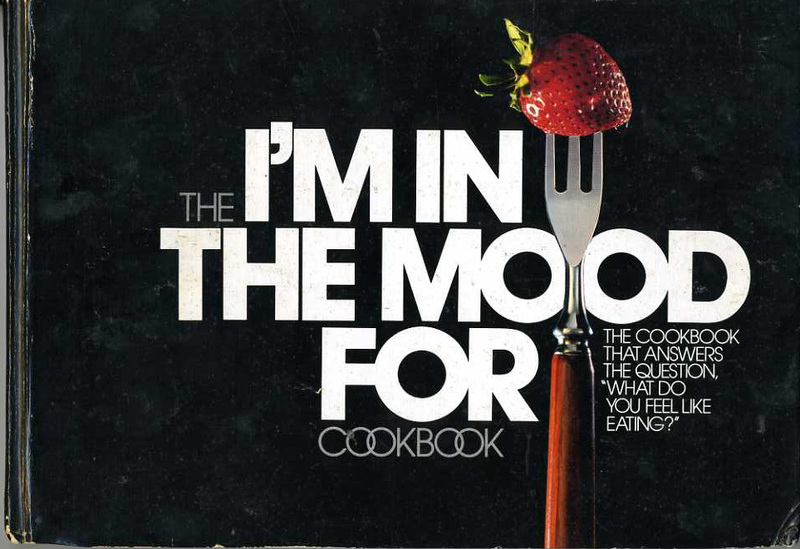 This is from the I’M IN THE MOOD FOR cookbook published in 1982 by Wear-ever Aluminum. 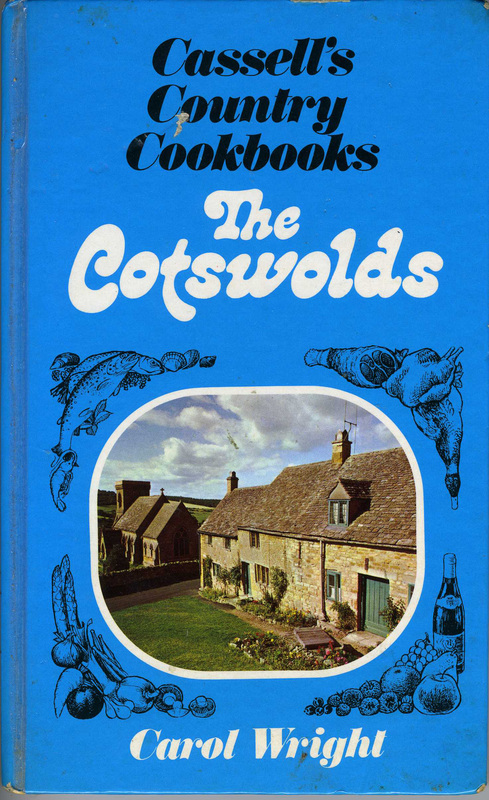 Whilst it concludes in all cases that you are in the mood for food, it does helpfully divide the recipes into occasions such as Rainy Afternoons (Cheese Popcorn), The Pleasure of Your Own Company (Lemon Soup), and Romantic Notions (Stir-fried Cucumbers). I’ve chosen a recipe from the Winding Down section, which seems to link relaxation with violently attacking some meat. If you’re superstitious, always smash egg shells – so that witches may not go to sea in them. 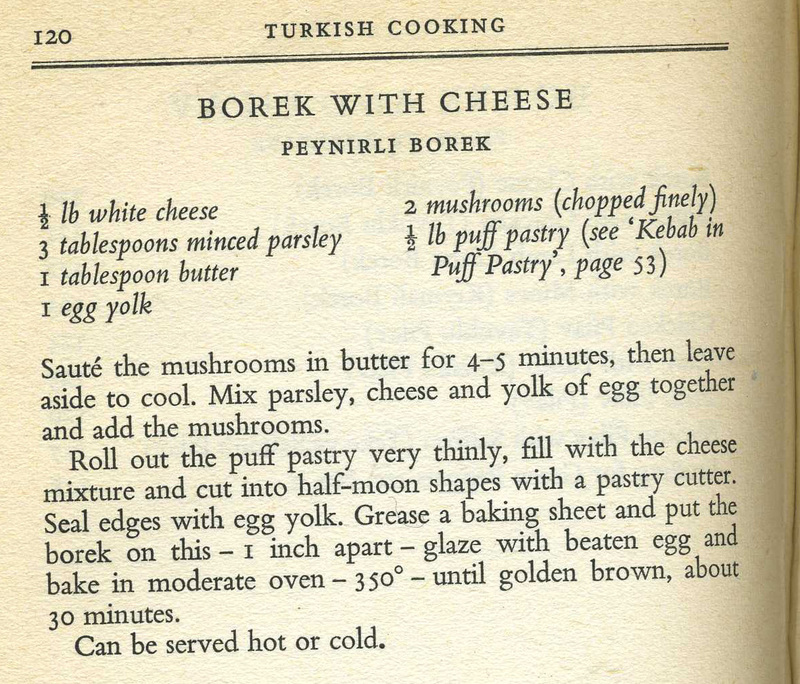 Another dish for Eurovision party, this time representing Turkey with the cunningly titled Turkish Cooking by Irfan Orga (Andre Deutsch, 1958).